Realise any creative project you want to make! After qualifying in ceramics in 1995, I built a career in people development working for Astrazeneca Pharmaceuticals for 10 years. I had always enjoyed interacting with people from all walks of life and my genuine interest in people and their motivations, meant I enjoyed helping them reach their innate potential. I furthered this interest in 2009 by training as a holistic therapist, qualifying in Reiki and Crystal Therapy. 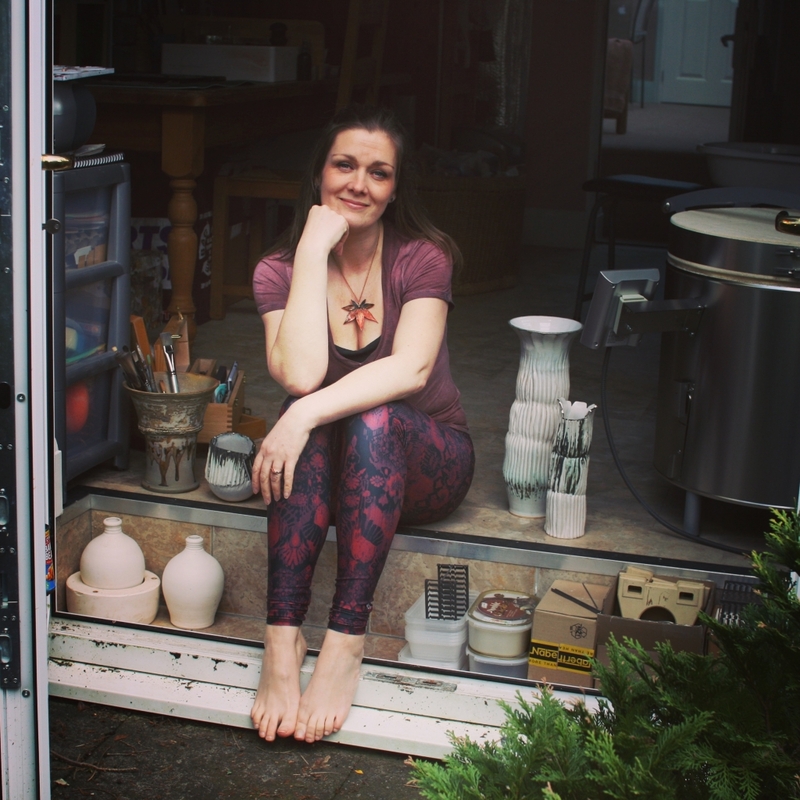 It only occurred to me years later that in effect both ceramics and crystal therapy use the elements of the earth..it’s funny how things work out isn’t it! 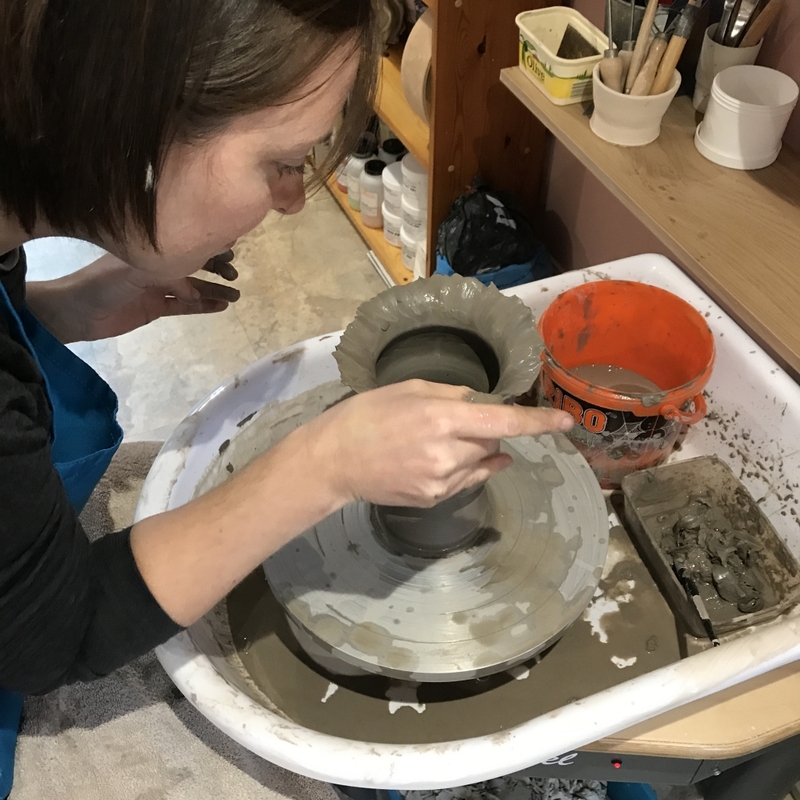 It felt natural, therefore, for me to combine my passion for art and healing therapy by offering pottery tuition in different guises. I was fortunate enough to teach ceramics clubs to children at Clifton High School between 2013-2016. This supplemented my existing skills working with people of all ages. 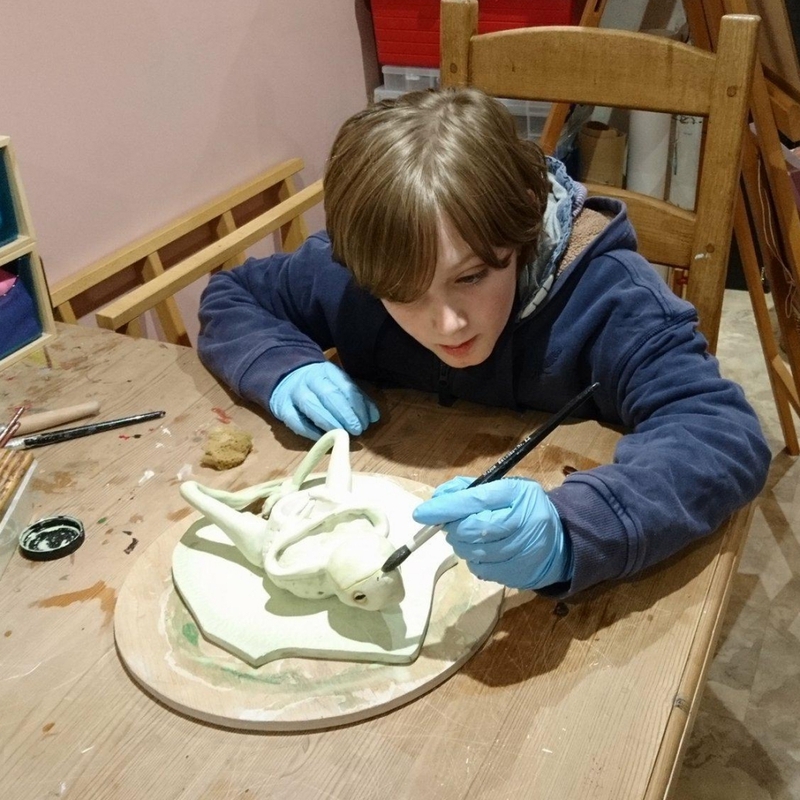 Today I offer pottery tuition to children, some with learning difficulties or specific needs. 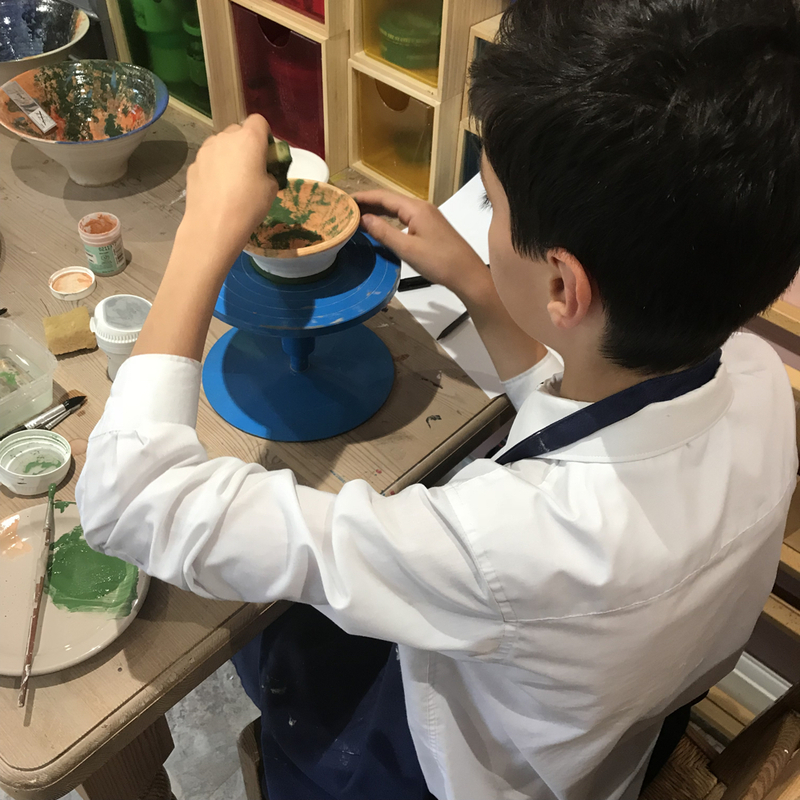 The therapeutic quality of the clay often has a calming effect for those who find our busy and immersive world to all consuming. Adults also often comment how they are able to ‘switch off’ their busy minds and focus on the present moment while I teach them. So it holds benefits for all. 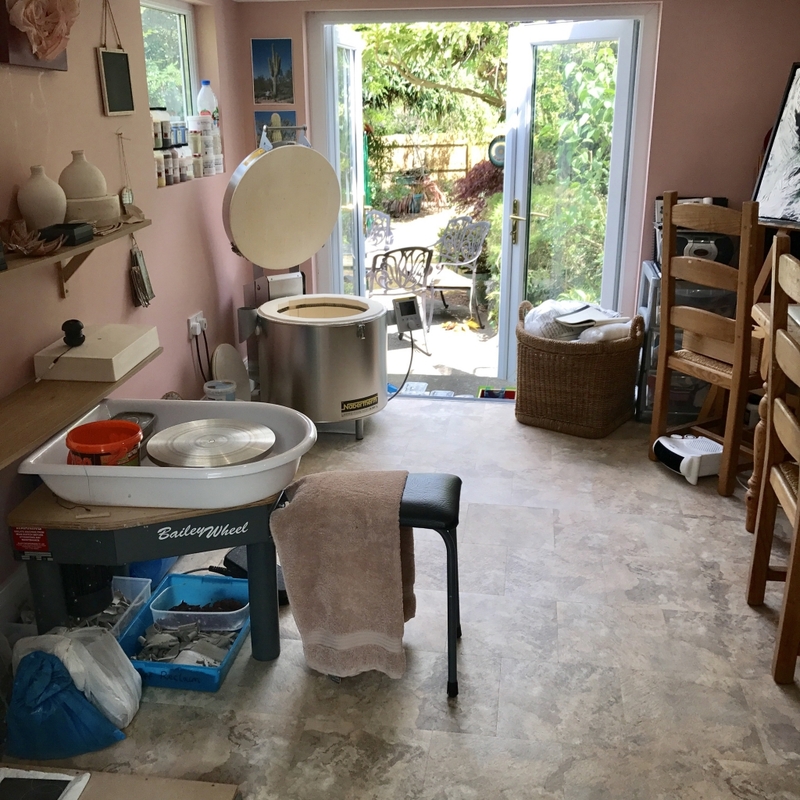 I offer tailored tuition on an hourly basis (£30), 1 full day workshops (£180) and any combination in between to suit peoples needs. All skill levels are welcome, from complete novice to students who wish to take their skills to the next level. My tuition is usually carried out on a 1:1 basis because I like to give my full attention to students, but I will also accept small intimate groups of up to 3 people. Please feel free to explore more detail on what I offer on www.craftcourses.com and read some of my lovely student reviews. I do hope you will be tempted to try this calming experience, it really ‘washes away the dust from every day life’. 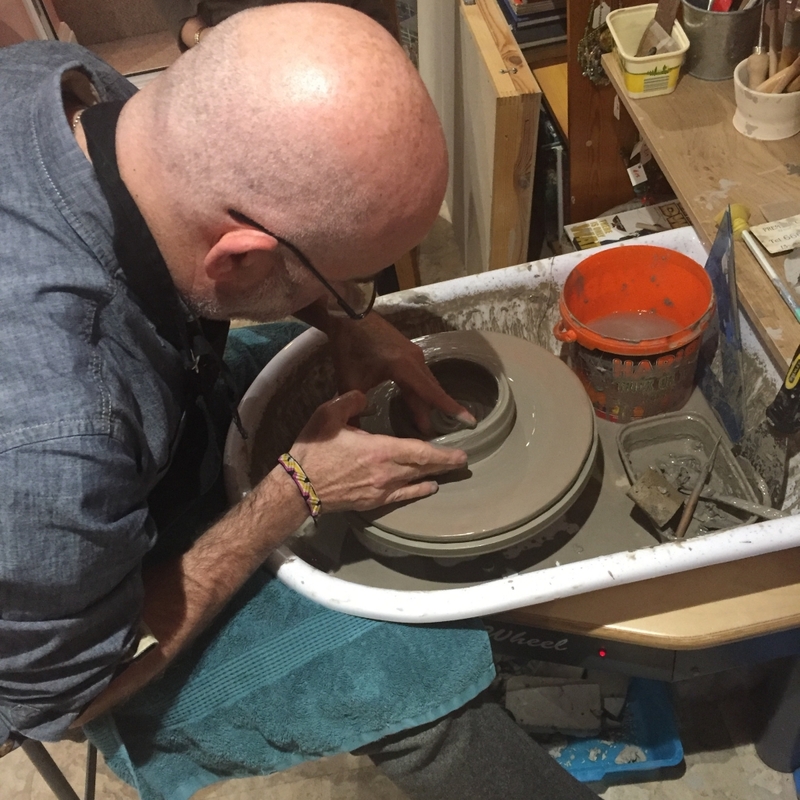 It felt natural, therefore, for me to combine my passion for art and healing therapy by offering pottery tuition in different guises. I was fortunate enough to teach ceramics clubs to children at Clifton High School between 2013-2016. This supplemented my existing skills working with people of all ages. “As soon as you arrive, Sonya’s warm welcoming manner makes you feel instantly at home. She was also very knowledgeable explaining not just how you do something, but why as well. What I liked most, is that even though we had a plan for the day, it could be completely adapted depending on how you took to each task. I would recommend the workshop to anyone from beginner to advanced. You will have a great day and come away with lots of pieces to take home. I look forward to going back to finish glazing them”. 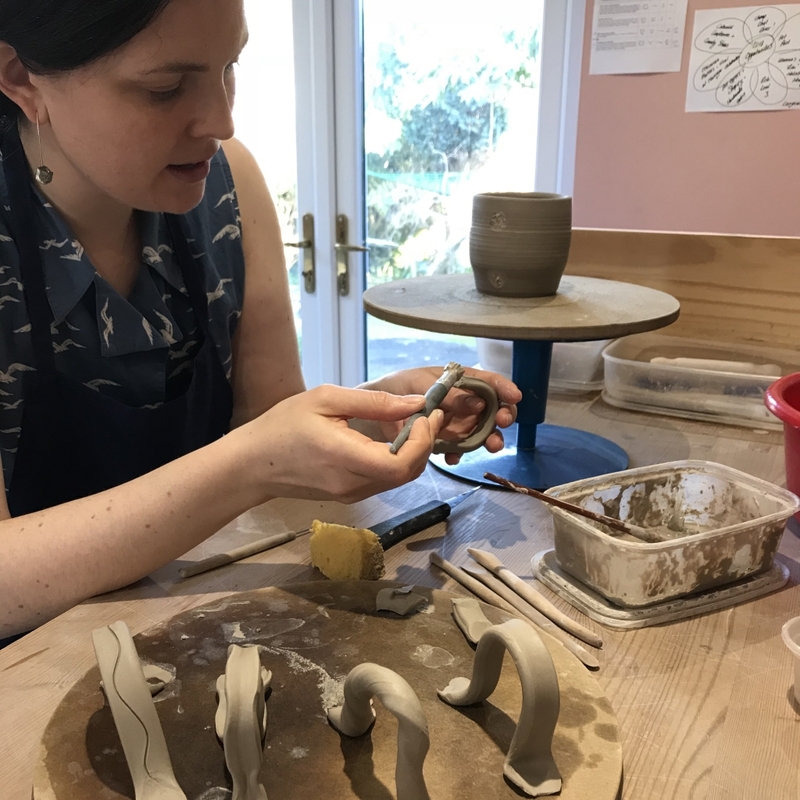 “I had a lovely day with Sonya exploring pottery for the first time! It was wonderful to have the one to one tuition. 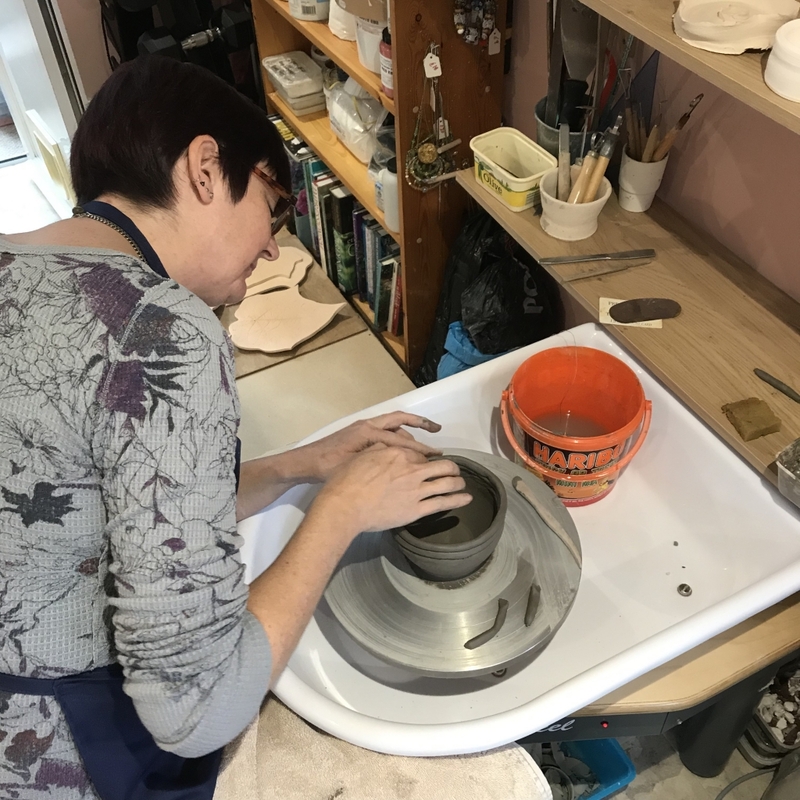 Sonya was a fantastic teacher, she gave me lots of different methods and ideas of how to work with the clay so that I could find what worked best for me. I can’t believe what we managed to do just in the one day. A testament to some really patient and creative teaching from Sonya”. “A BIG SHOUT OUT to Sonya Wilkins . I wanted a special present from my 11 year old son to his God Mother. This is what he chose to do. 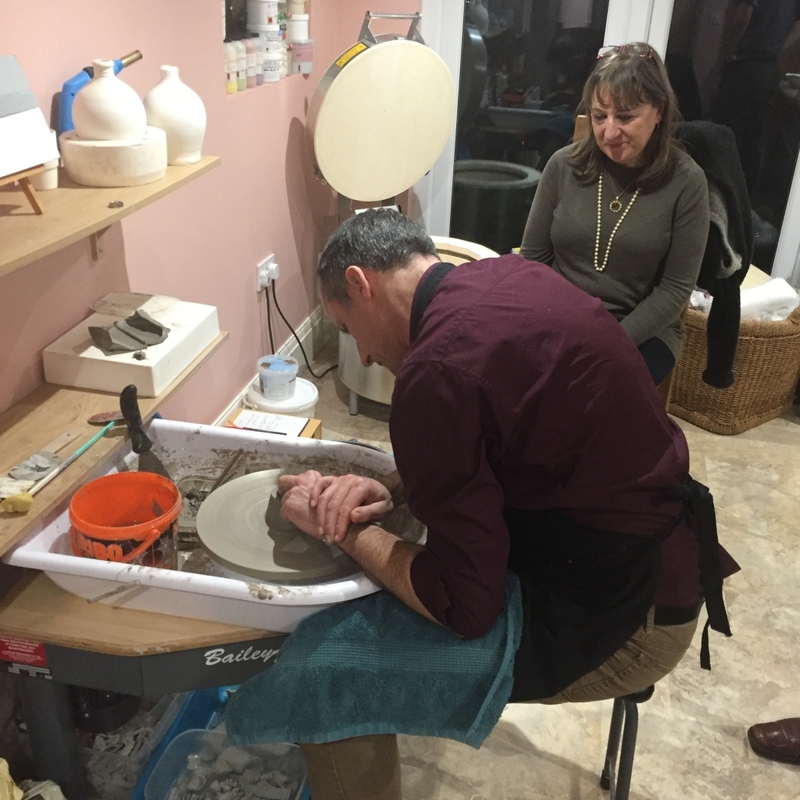 He’s had an amazing experience doing some pottery with Sonya Ceramic Art. I can’t recommend her enough”. “Sonya is an excellent teacher. I very much enjoyed learning in her studio one to one. 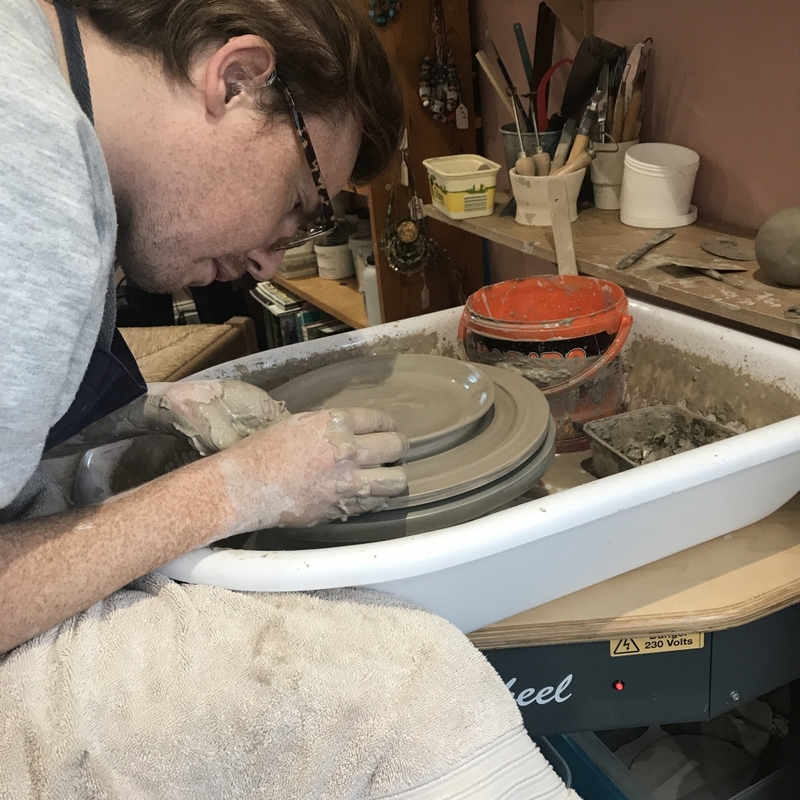 It was my first time making ceramics on a wheel, which I found especially fun. I rediscovered the pleasure of making something by getting messy with my hands. A real treat”. 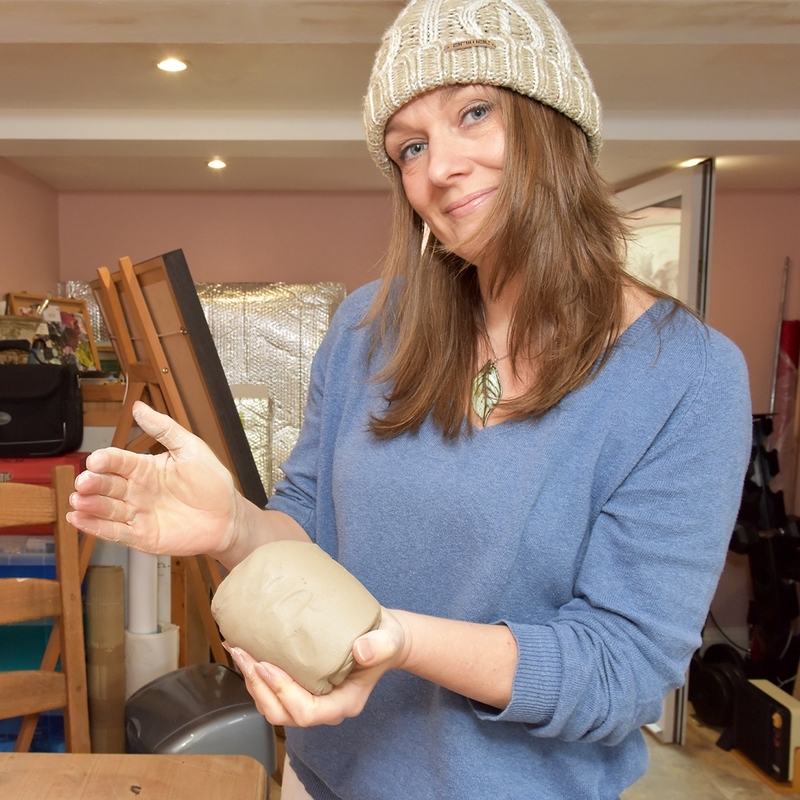 “A lovely pottery lesson with Sonya. A really peaceful way to spend time with my seven year old son too. Sonya was so patient and great with kids. I would highly recommended this for anyone who fancies doing something a bit different”.